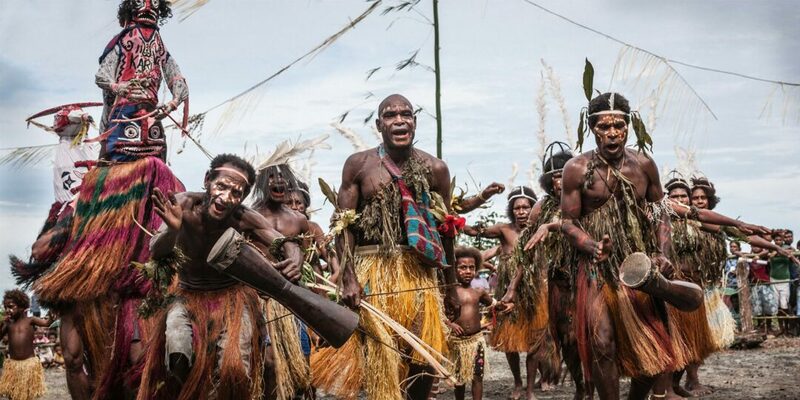 This trip takes you on a breathtaking exploration through some of Papua New Guinea's most remote locations – Tari in the Southern Highlands and the Sepik River. 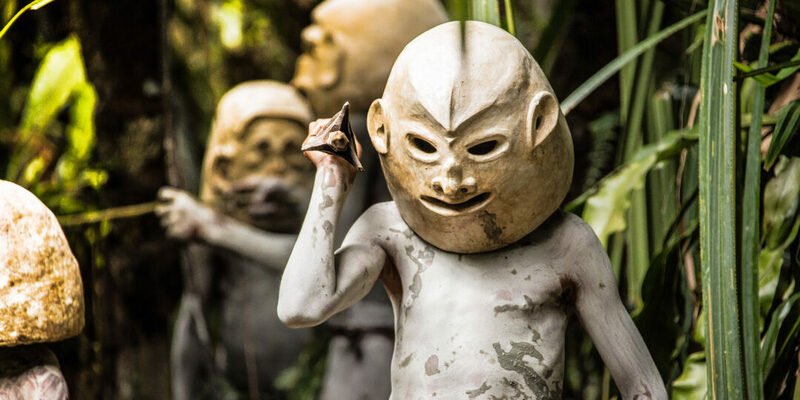 You'll meet the Huli Tribe's wigmen, see beautiful primitive art and be treated to a tribal performance of Sing-Sing. 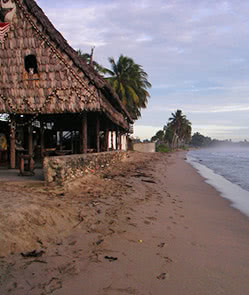 At the end of your trek, you’ll have time to relax on the beautiful coastline of Madang. 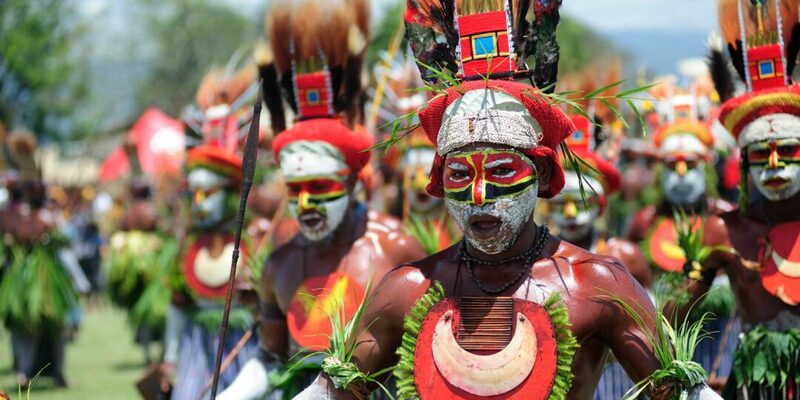 On the first day of your Papua New Guinea adventure, you'll land in Port Moresby and check into your hotel. 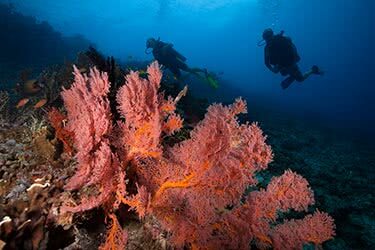 Port Moresby has a selection of great properties that offer the full range of modern amenities for the traveler – we recommend the Comfort Inn, which has tropical gardens and a pool. 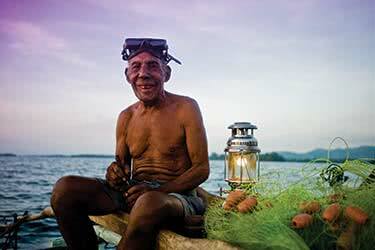 In the afternoon, head out on a tour of Port Moresby and enjoy the relaxed island pace. Today your trek begins. 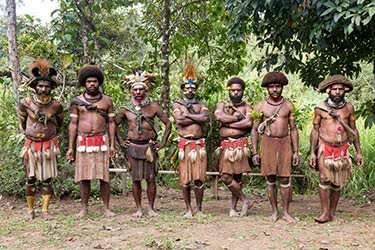 In the morning you'll take a flight to Tari where you'll meet your guide and transfer to the trek site. 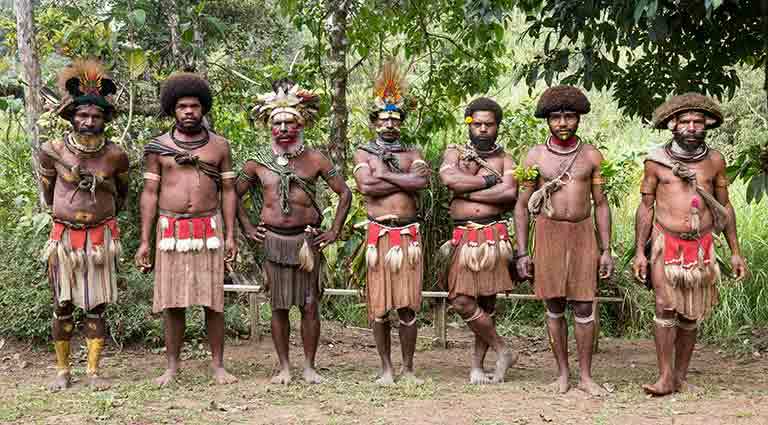 Tari is home to the Huli Tribe with their infamous wigmen. 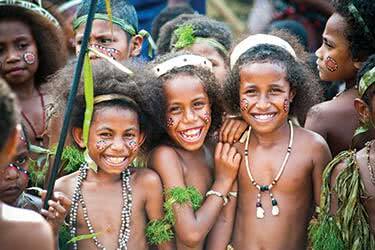 The Huli people live much as their ancestors have for centuries. 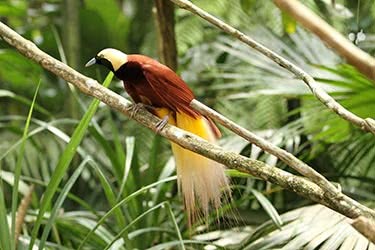 The Huli revere birds and decorate their wigs with feathers and imitate bird movements in their dancing. You'll spend your first trek night in a local village homestay, including lunch and dinner. 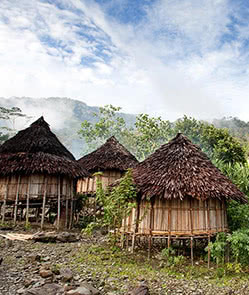 It's onward to Karida Village today, where you'll get to meet more local Huli villagers. On the way, you'll visit Hibure Bachelor Center and Skull Cave. In the afternoon, enjoy bird-watching and spirit dance in the village. 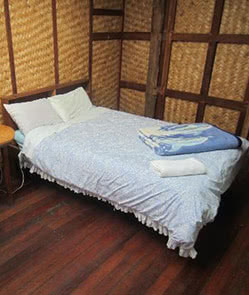 Tonight you'll stay at a local homestay. 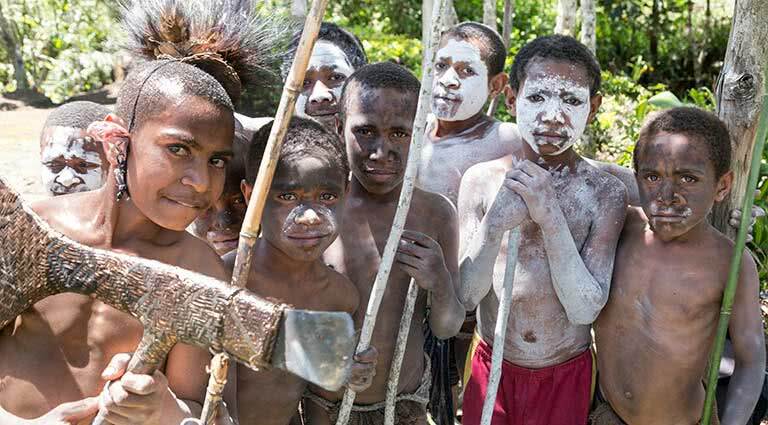 Enjoy another day in the village with the Huli Tribe. 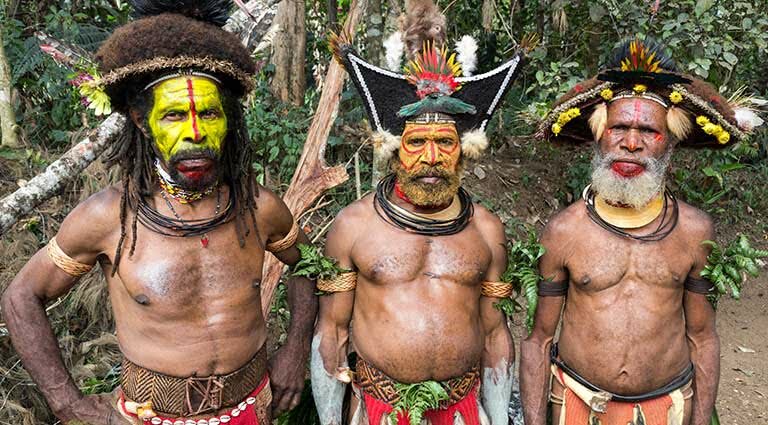 Today the wigmen will perform a traditional Sing-Sing celebration, dressed in full tribal costume. After the performance, enjoy a traditional lunch roasted in an underground-oven and in the evening, listen to one of the elders during story-telling time. 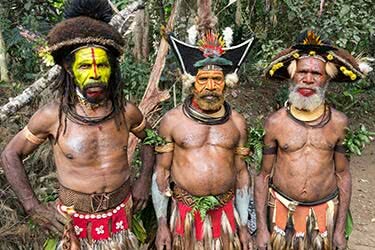 This morning you will be transferred by air from Tari to Kumul, where you can enjoy spotting Papua New Guinea's beautiful tropical birds. 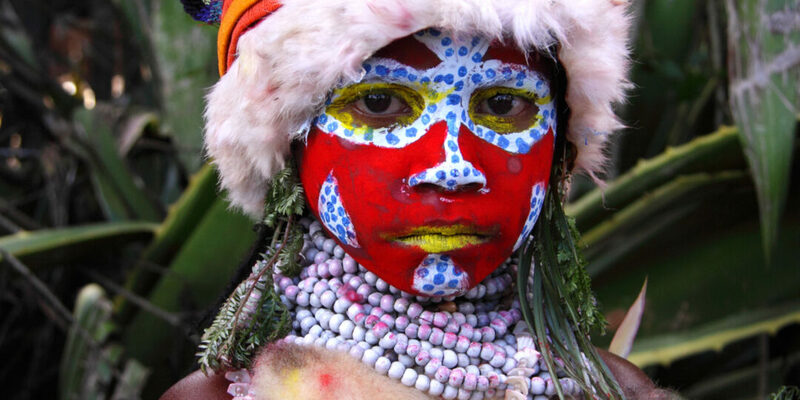 On the way, you'll visit Mount Hagen and have the chance to browse through a colorful local market. 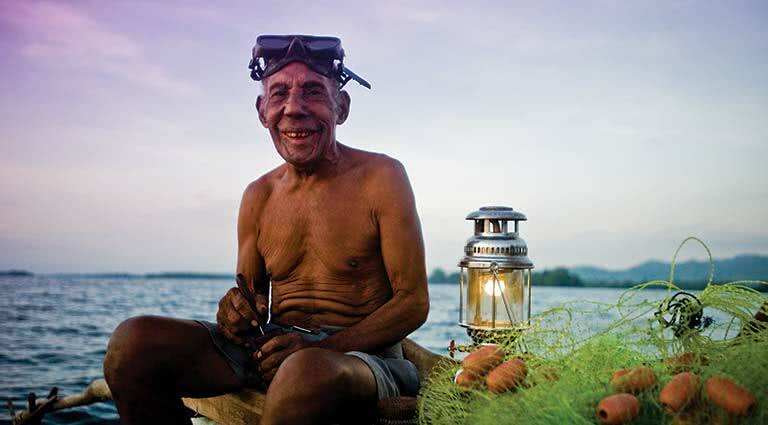 In the evening, settle into the peaceful Kumul Lodge, an eco-lodge made from all-natural materials and run by local villagers. 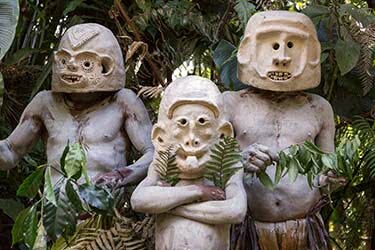 Rise early today and embark upon a full-day tour to Wabag, returning to Mount Hagen. Wabag Town is the biggest provincial capital in Papua New Guinea and here you can enjoy local coffee. 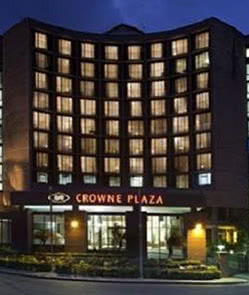 In the evening, check into the Quality Hotel Highlander. 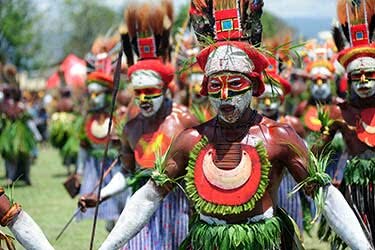 Today you'll bid adieu to Mount Hagen and fly to Ambunti. 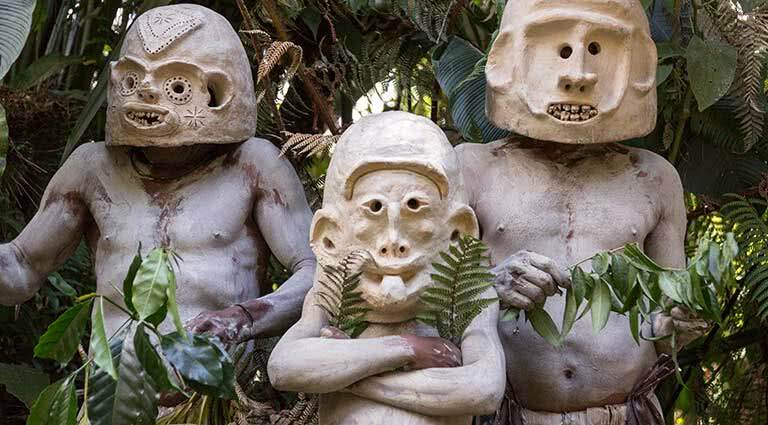 Here, you'll meet up with your guide and begin the four-day Middle Sepik Canoeing Art Tour. 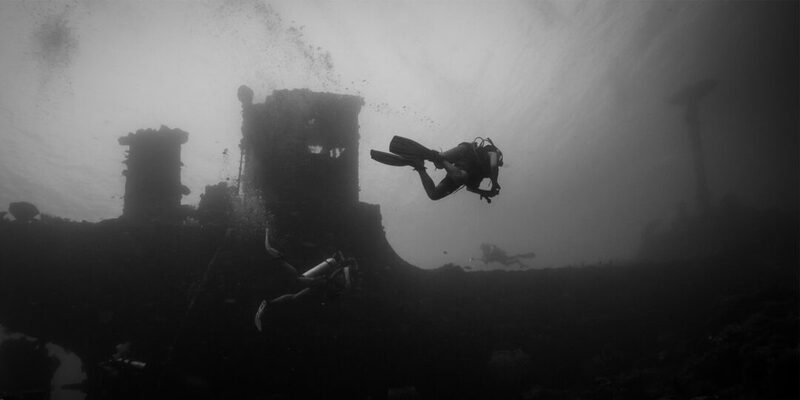 By exploring the waterways in this fashion, you'll get to see intricately-carved spirit houses and remote villages dotted throughout virgin forest. Spend the evening in a cozy village hut. 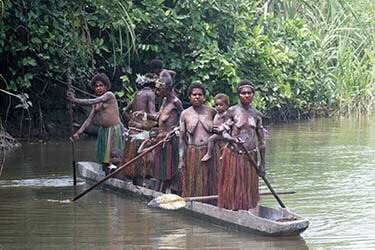 Continue your journey through the waterways of the Sepik River, stopping at villages and meeting different ethnic communities. 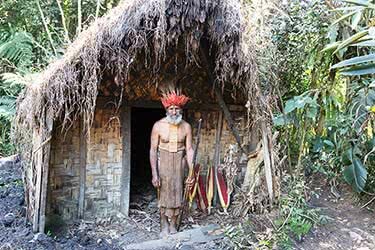 Many villages you meet on this trip still practice ancient customs – secret ceremonies performed within spirit houses. You'll spend tonight in a village hut. 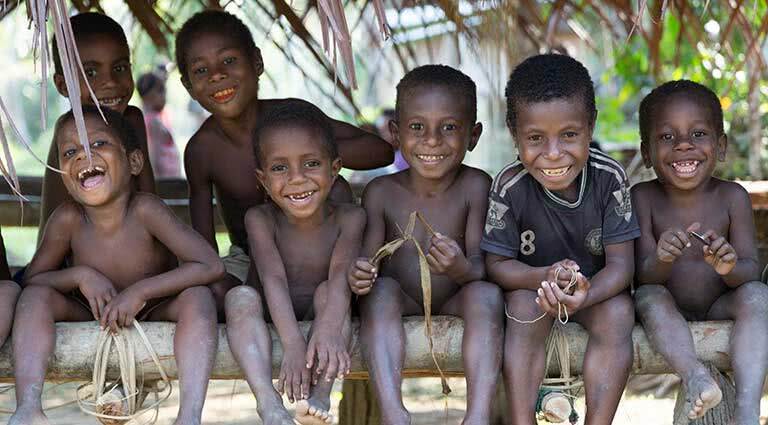 Today is dedicated to exploring the waterways of the Sepik River, pushing through thick rainforest and mangroves, passing schools and villages and spotting all sorts of wildlife. It's your final night staying in a local village hut before making your way back to the more developed parts of Papua New Guinea. 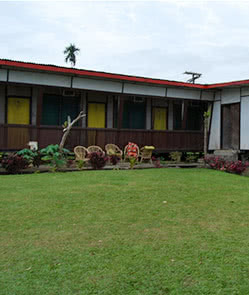 Fly to the beautiful coastal town of Wewak, built on an estuary. Upon landing, you'll be escorted to your hotel, Windjammer Beach Resort. 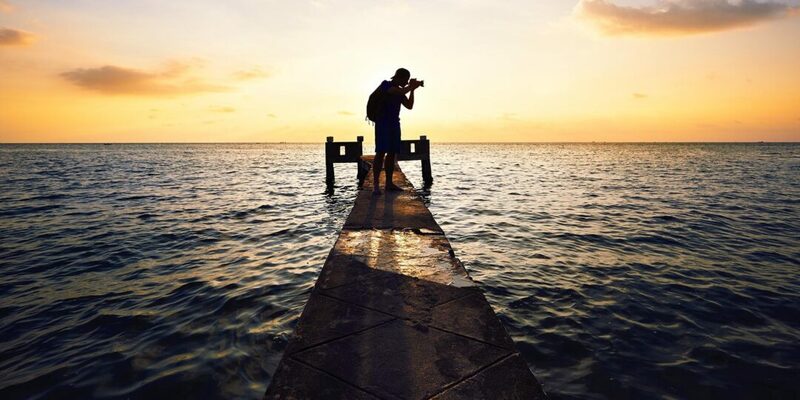 Enjoy the day at your leisure, perhaps exploring nearby islands or just relaxing on the beach with sunset drinks. 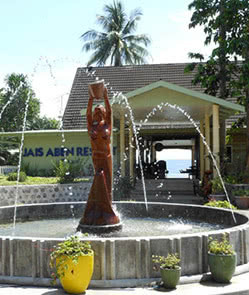 Today you will fly from Wewak to Madang, where you'll transfer to the relaxed beachfront surrounds of Jais Aben Resort. 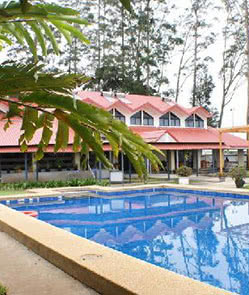 You have a full day here at your leisure to enjoy Mabang's coastline, the beach and the facilities at the resort. You have another full day of beach time today, where you can relax, swim and sunbathe with the addition options of snorkeling, diving, or going on a day canoe trip to Kranget Island. On Kragret Island, you can enjoy fresh seafood and crystal clear blue waters. 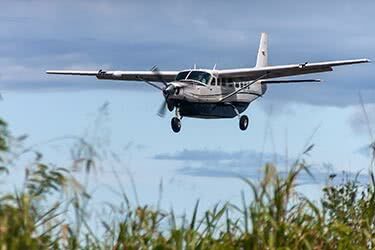 On your final day, you'll take a flight from Madang to Port Moresby, where we will assist with your onward travels and departure flight. 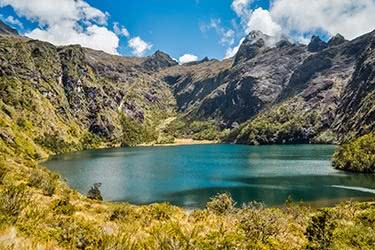 Located in the lush rural highlands of Papua New Guinea, Kumul Lodge is a renowned eco-lodge offering comfortably rustic accommodation. 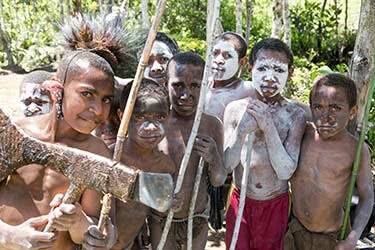 Owned and operated by people from the local community, guests staying at Kumul Lodge contribute to the immediate area through their commercial support and in turn, guests enjoy cozy accommodation surrounded by native wildlife and enjoying local hospitality. The architecture is of simple, traditional style using local materials, comprising wing rooms or separate private cabins and a communal lounge with a wide verandah great for bird-watching. One of the highlights of staying here is the abundance of endemic bird species, many of which are vividly colored and accustomed to humans. Perched on the banks of the Sepik River, Ambunti Lodge provides basic accommodation and restaurant services. Guests may choose from twin or double rooms, and recent upgrades have resulted in air-conditioning and private bathrooms in each, making the rooms among the most comfortable available in the area. The lodge also features a generator to keep power going during a power-cut. 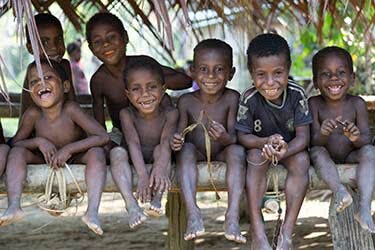 Ambunti Lodge is the ideal base from which to explore the exotic and fascinating Sepik region, with its rich tribal cultures. This beachfront resort is in a convenient position halfway between Wewak town and the airport, offering comfortable accommodation for all ages. The Windjammer is one of Wewak’s oldest and most iconic resorts with a strong local following and a peaceful position on the waterfront, fringed by swaying palms. The Windjammer offers a wide selection of rooms and of of its highlights is a carved crocodile bar. The Windjammer is within walking distance of shops, parks and restaurants and the beach is suitable for swimming and surfing. Jais Aben Resort is located on 22 acres of a former coconut plantation, situated beautifully on the tip of a peninsula between the Bismarck Sea and the Nagada Harbour. Located directly on the seafront with beautiful views facing the open sea, it features twin bungalow style units, all strategically located to catch the sea breezes. All bungalows come with air conditioning, ceiling fan, TVs, fridges, and coffee/tea-making facilities, with some units featuring private verandas. The stylish Coco's Restaurant offers local and international cuisine, and the informal Bridge Bar & Grill is perfect for relaxed beachfront dining. The resort also boasts a well-stocked games room.